In the aftermath of the rhetoric delivered by U.S. President Barack Obama and Israeli Prime Minister Benjamin Netanyahu at the recent American Israel Public Affairs Committee (AIPAC) convention and during Netanyahu's visit to Washington, the American and Israeli intelligence agencies are "semanticizing" and politicizing their assessments of Iran's nuclear program so that their two governments appear to be on the same page. It will be interesting to see if the new pronouncements force Secretary of State Hillary Clinton to adjust her previous remarks that are not exactly in line with these positions. I just love it when government spokespersons attempt to tell you one thing when they mean something else. 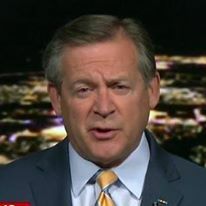 According to an American intelligence official, there is little disagreement between the Israeli Mossad and the U.S. intelligence community. You would not have known that had you been paying attention to the exchanges of words between Israeli and American military leaders during the recent spate of the Americans' visits to Israel. Israeli leaders talked about the imminent threat from Tehran while the Americans spouted their "time and space" view - that we still have time for sanctions to work before the Iranians can assemble a nuclear weapon. Sanctions may have hurt the average Iranian citizen, but they have not slowed the nuclear program at all. It was this difference of opinion on the Iranian nuclear weapons program that caused Israel to advocate quick action against Iran while the United States pressured the Israelis to delay any military strikes. The U.S. intelligence officials exact words were, "[Mossad] does not disagree with the U.S. on the weapons program...there is not a lot of dispute between the U.S. and Israeli intelligence communities on the facts." How is that for a ringing endorsement? "Does not disagree" and "not a lot of dispute" - having worked in the intelligence community for almost three decades, that sounds to me like there are significant differences between the Israeli and American positions. Use of the double negative (twice) is a giveaway. 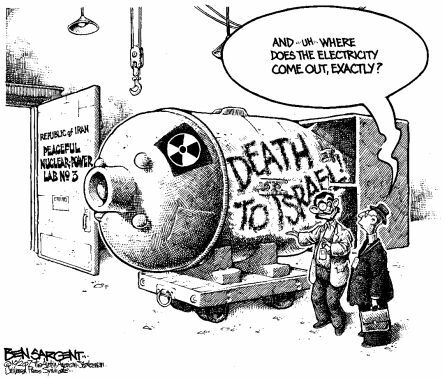 It also sounds to me that the Israelis, for whatever reason, have decided to alter their public stance on the Iranian nuclear weapons program. I suspect the reason is pressure from the Obama Administration. I'd like to know what was promised to the Israelis to change their position - increased aid, weapons - like bigger bunker-buster bombs - intelligence, etc.? I'd also like to know if the Israelis are simply mouthing what they think their American sponsors want to hear, or do they really believe this fantasy? Both nations now state that there is not enough proof to determine whether Iran is building a nuclear bomb. Secretary Clinton remarked shortly before the Netanyahu visit that Tehran has not decided to produce weapons. Again, having done this for a long time, there is no way one would make that remark if it were based on actual intelligence. Information that specific would have to have been derived from an extremely sensitive intelligence source - one would hope Secretary Clinton knows this and would not compromise sources. After all, that is how you get your agents killed. The fact that she is talking about it means it is an assessment, a guess or just wishful thinking. Remember, it was her intelligence bureau (albeit during the Bush Administration) that authored the now-discredited 2003 National Intelligence Assessment that Iran was not working on nuclear weapons. State Department analysts are notorious for being apologists for the Iranians. Secretary Clinton has made some other, slightly different remarks that she may have to walk back. If what I suspect is true - that the Obama Administration has pressured Israel into accepting its dubious version of reality - her recent declaration that the United States is committed to prevent Iran from not only developing a nuclear weapon but also developing the capability to develop a nuclear weapon may not stand. I hope she means exactly what she said and we don't hear a State Department spokesperson later tell us "what the Secretary really meant" is something different. In the past, the American intelligence community sought to distinguish between having the capability to develop nuclear weapons and actually building nuclear weapons. The former was deemed to be acceptable, while the latter was not. Mrs. Clinton's statements indicate that there is no longer such a distinction between the two according to the Obama Administration - both are unacceptable. Yet it appears the United States is pressuring Israel to make that exact distinction. So which is it, Mrs. Clinton? What is the American position? It would appear, as I have stated before (see Netanyahu and Obama at AIPAC - a leader and a reader), I believe the overarching consideration for the American position - actually the Obama Administration position - is based on how it affects this November's presidential election. Could the current - and convenient - American intelligence assessment that Iran is developing the capability to produce a nuclear weapon but has not actually made the decision to build a nuclear weapon be based on politics rather than on reality? When Secretary Clinton made the claim that the United States regarded the development of a nuclear weapons capability as the same as actually developing a nuclear weapon, she was reflecting reality. The Israelis have said as much - they regard the "haven't made the decision" argument as "semantic and secondary." For what it is worth, I agree with Mrs. Clinton's claim and the Israeli view. Israeli intelligence analysts believe that once the decision is made, it may be as long as two years before Iran has a deliverable warhead for its ballistic missiles. Their concern is that Iran is moving its research, development and production facilities into hardened bunkers. At some point, Israel may not be able to launch an effective military operation against Iran's nuclear facilities. My cynical assessment is that the Obama Administration wants to prevent an Israeli military strike on Iran in general, but to prevent it at all costs before the November election. A regional conflict and resultant soaring oil prices will not be helpful for the President's re-election campaign. Until then, the United States will work closely with Israel and pressure the Israeli leadership to wait. It remains to be seen what American policy will be after the election - that, of course, depends on who wins. It is sad when semantics and politics intrude into intelligence and the effective conduct of foreign policy. If you think it hasn't, you're not paying attention.